Do low cost bingo games sound like a lot of fun to you? If so, you’ll be delighted to know that these fun pastimes are available on the internet, and on your smartphone too. 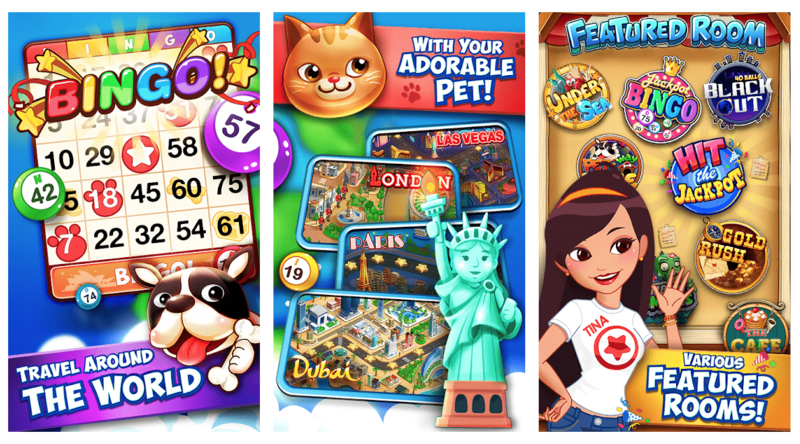 Here are the 10 best iOS and Android Bingo game apps you can download today. Bingo Gem Rush. a free to play Bingo game without limits. Play as much as you’d like and compete for top Facebook leaderboard spot for the ultimate Bingo bragging rights. DoubleU Bingo. Provides a pet you can customize and play with on the campaign mode. Bingo Bash. Has a good selection of rooms you can play in. Moreover, play several different Bingo variants to shake things up. Log in daily to get extra tickets, power ups, bonuses and more. Bingo Blast. Play with up to 8 cards simultaneously with Bingo Blast! Unlock flashier layouts and patterns the more you play with this fun Bingo app. Bingo Party. The true multiplayer Bingo you must try. First time users get 30 power ups and 500 tickets to kick things off. Bingo by Absolute Games. Play with up to four Bingo cards per round. The app supports offline play and the pause feature, which can come in handy when you’re trying to catch up to the call outs. Bingo Pop. A massive Bingo app with more than 900 levels, plus 15 rooms and bonus content. Bingo Pop has great-looking graphics that’s sure to keep your eyes satisfied as you play. Bingo Crush. Get PVP, nifty power ups, collectibles and exciting rooms in one app. Monopoly Bingo. Sort of an amalgam between Monopoly and Bingo. Gain tickets, coins and boosts as you play and build houses and hotels for everyone to see. Bingo Blitz. Choose your city and play Bingo to gain that location’s ticket and rewards.